Craftily Yours: Spring Blog Hop! 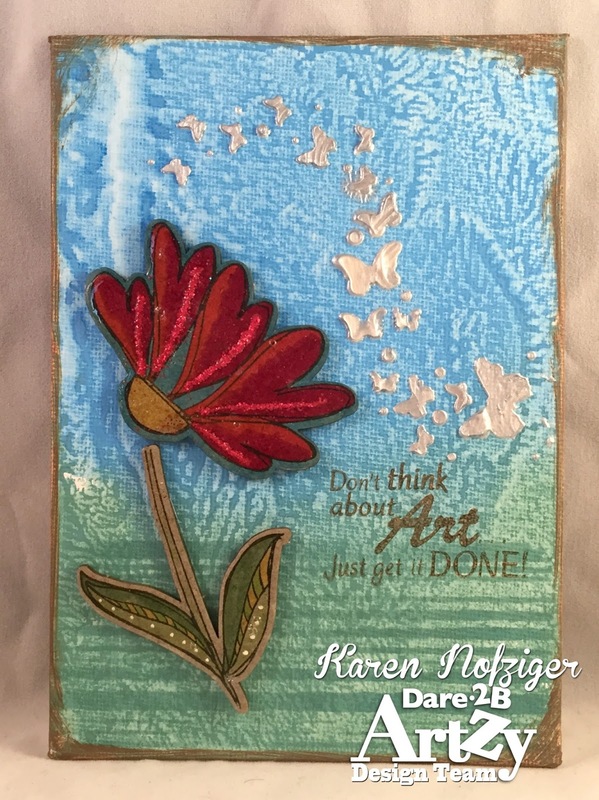 Welcome to Dare 2B Artzy's Blog Hop!! Here at Dare 2B Artzy, we are super excited for some sun shiny days and warm weather! To celebrate we decided to have a Spring 3D Themed Blog Hop!! We are super excited to have two Guest Designers joining us for this hop!! You should have arrived here from marvy Vicki's blog! 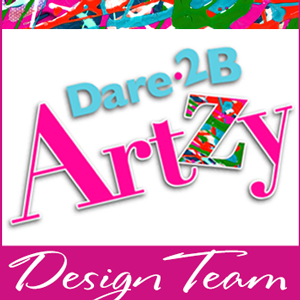 If you haven't and would like to hop along with us, please go back to the Dare 2B Artzy Blog to start at the beginning! The winner will receive a stamp set and ink pad of their choice!! The Blog Hop will end Sunday, April 30th at 7:00pm Eastern. I created a FuN canvas today using the Vines of Love Stamps and coordinating Vines of Love Chipboard. 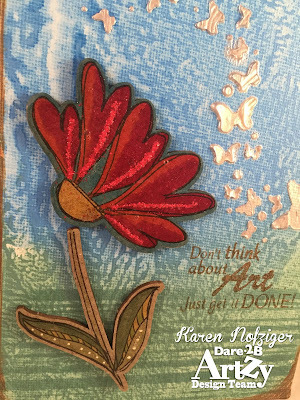 I covered the whole flower with Glossy Accents and added the sentiment with D2BA Chocolate Chip Ink. Check out all D2BA's products here! Beautiful canvas! The background, the flower details, and the colors are perfect! Your creation is so beautiful. I love the background and colorful flowers. this is such a pretty spring card. Love your card. Fabulous background. Karen, this is a wonderful card. It might be a trick of the photography but your materials and techniques give your card the look of crewel embroidery. . .so unique. Thanks for sharing this. What a beautiful canvas!! Love all your details, so pretty!! Love this flower, the petals look like hearts. You've made a fantastic job with this flower it looks very artistic! Wow! Stunning project!!! Love so much the amazing details of your canvas!!! Follow your blog through Followers as Arianna Barbara. wonderful canvas, love the colors and the flower. Thanks for sharing. Vines of Love in these bright colors and with Glossy Accents all over make this piece of chipboard a work of art! (Not to mention all the other products you had to use to make this! Pretty textures and colors! Love that beautiful flower! Your project is so pretty! I love the dimension and the red color on the flowers and the silver butterflies are beautiful. Thanks for sharing! Beautiful detail, Karen! Almost looks like machine appliqué! Super awesome! Love that background!